Distillation is a craft based on knowledge, play and interest. For the best results we recommend you attend one of our workshops. They are interactive, fun and you’ll get to meet a group of like minded, interesting people. A range of discounted copper stills will be available for purchase on the day, and time allowed for questions and discussion. Most importantly you will leave feeling inspired, informed and confident. Designed for beginners, and covering the basic processes for distilling hydrosol, essential oil and spirits. Explanation and procedures for all 3 types of distillations: measuring ph levels, safe storage, yields, when to stop, how to separate oil from hydrosol, applications, using ‘wash’ or ‘mash’, measuring alcohol levels for safe, clean distilling. An excellent way to learn to make your own artisan gin and to extend your skills at blending and tasting. Crafting botanical gin, opens the door for you to become an artisan distiller! 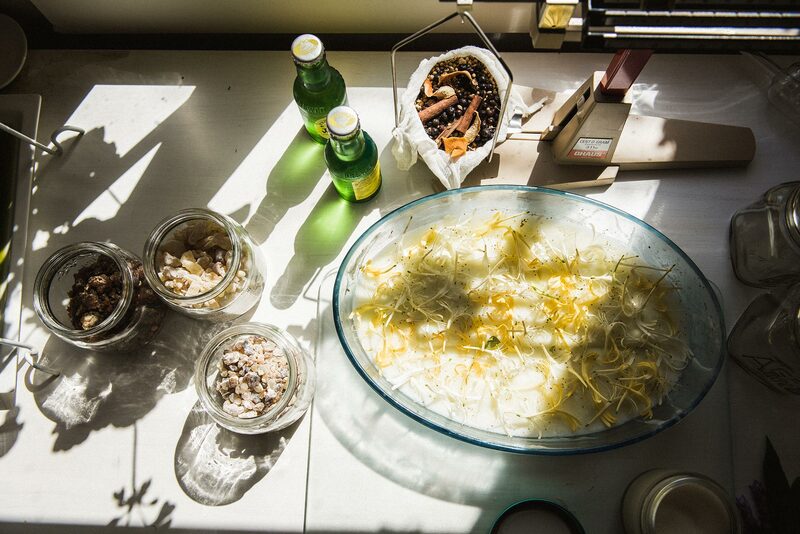 It’s also a great way to taste, smell and understand a wide range of aromatic botanicals. And best of all, take home whatever’s left over! 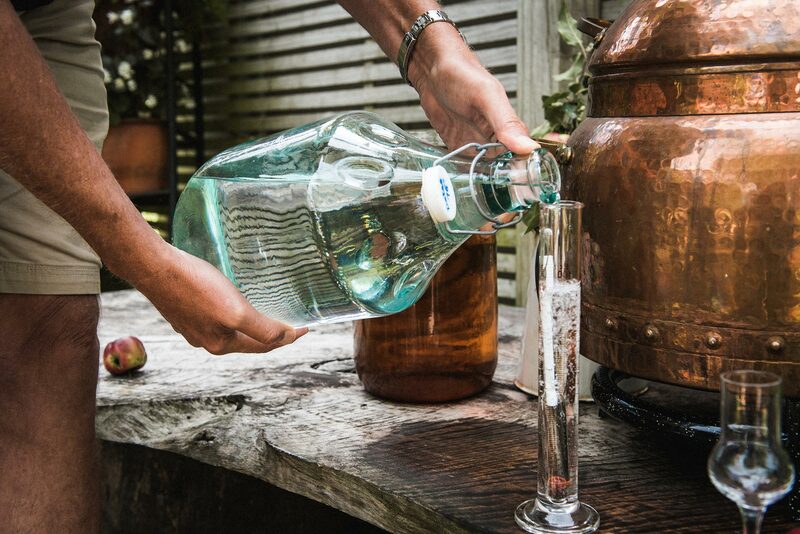 Delve deep into the incredible alchemical journey of botanical distillation. Jill and Valmai team up for a two day masterclass, sharing their skills, stories, and knowledge of aromatic plants and their applications. To be held at the Origins Centre, Balingup, Western Australia. The focus is on learning distillation techniques and working with the native flora of Western Australia. Alembics is part of a global community of respected, botanical distillers. Make the journey to an international venue for an Advanced Distillers Workshop and take part in a once in a lifetime learning opportunity.